The multi-million-dollar project that includes the construction of the Muharraq Ring Road and the fourth Manama-Muharraq crossing project is on track, said Works, Municipalities Affairs and Urban Planning Minister Essam Khalaf. The work contract has been awarded to Boskalis Westminster Al Rushaid Company Limited and Boskalis Westminster Contracting Limited. The minister pointed out that the bridge will connect the economic, tourist and development facilities on Muharraq Island in the capital Manama to the north. It will also provide access to the new Busaiteen, Al Saya area, Diyar Al Muharraq, Amwaj Islands, Al Deir, Samahij and Qalali, he added. He said that the project is an extension of Al Muharraq Ring Road (extension of the Dry Dock Road to the north), starting from the intersection of Al Muharraq Ring Road in Smahij / Diyar Al Muharraq, passing through Al Deer, Al Busaitin and Al Sawaya area. “The second phase of the North Manama Bridge, which starts from this intersection to the waterfront area in the Seef area to Shaikh Khalifa Bin Salman Street at the intersection of Farouk. 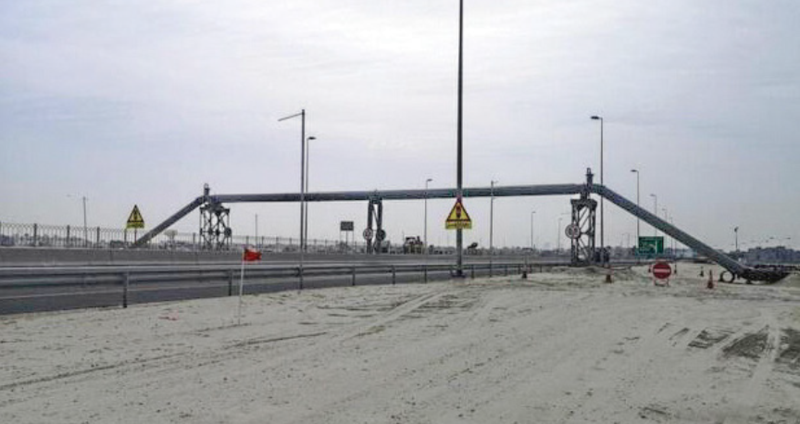 Mr Khalaf said that the fourth bridge will make a quantum leap in addressing the traffic problems north of Muharraq. 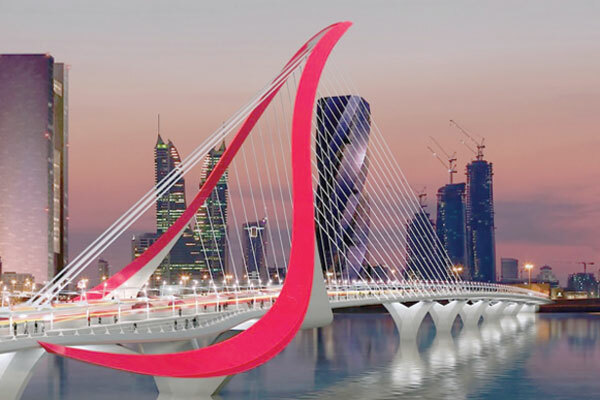 The minister revealed that the fourth bridge will be a modern landmark of the features of Bahrain and that was selected and approved by the Prime Minister.